A Silicon Valley icon and philanthropist for the past three decades, Steve Wozniak helped shape the computing industry with his design of Apple’s first line of products the Apple I and II and influenced the popular Mac. In 1976, Wozniak and Steve Jobs founded Apple Computer Inc. with Wozniak’s Apple I personal computer. The following year, he introduced his Apple II personal computer, featuring a central processing unit, a keyboard, color graphics, and a floppy disk drive. The Apple II was integral in launching the personal computer industry. 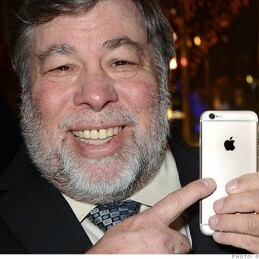 After leaving Apple in 1985, Wozniak was involved in various business and philanthropic ventures, focusing primarily on computer capabilities in schools and stressing hands-on learning and encouraging creativity for students. Making significant investments of both his time and resources in education, he “adopted” the Los Gatos School District, providing students and teachers with hands-on teaching and donations of state-of-the-art technology equipment. He founded the Electronic Frontier Foundation, and was the founding sponsor of the Tech Museum, Silicon Valley Ballet and Children’s Discovery Museum of San Jose. Wozniak served as Chief Scientist for Fusion-io and is a published author with the release of his New York Times Best Selling autobiography, iWoz: From Computer Geek to Cult Icon, in September 2006 by Norton Publishing. His television appearances include reality show “Kathy Griffin: My Life on the D-List” and season eight of ABC’s “Dancing with the Stars”. Woz is currently Chief Scientist at Primary Data.